You know what this blog needs? More alcohol. And it could always use more desserts. Let’s get crazy and combine the two in a fruity, refreshing Sangria Granita. 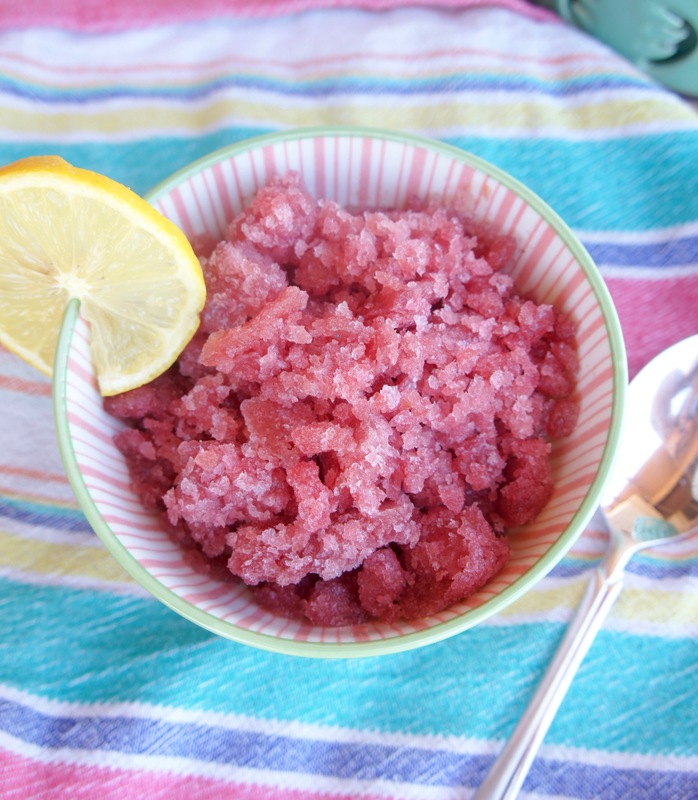 If you’ve never had granita before, you’ve probably had something similar that goes by a different name–because it’s basically a grown-up slushie. In fact, there’s not even always anything “grown-up” about it. It pretty much IS a slushie…or, if you prefer another name name, a “shaved ice” or, for the truly refined, a “sno cone.” With origins in Sicily, granitas can be found alongside gelato all over Italy (which explains why you might ALSO hear them called “Italian ice”). 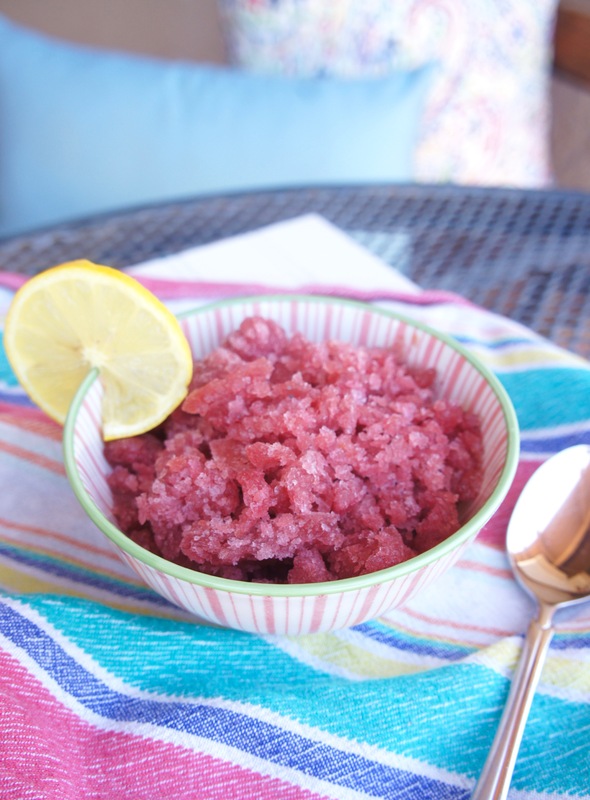 A dead-easy dessert, granita typically contains just water, sugar, and a flavoring. Add some freezing time and a few rounds of ice crystal-scraping and you have the perfect sweet to hit the spot on a hot day. With summer on the horizon, this Sangria Granita might be just the light treat you need poolside or after dinner. This version starts with Merlot and the juices of oranges, lemons, and limes, but could easily be adapted to use other wines and/or fruit juices. Let me know which combination you think would taste best! A refreshing, light dessert that's perfect for summer! In a saucepan, heat wine, water, and sugar to boiling over medium heat. Boil and stir one minute, until sugar dissolves. Remove from heat and stir in fruit juices. Let cool. Pour mixture into an 9 x 13 baking pan (metal works better than glass for optimal freezing). Place the pan in the freezer. Remove after 30 minutes to scrape and stir the mixture with a fork so that flaky ice crystals form. Repeat every 30 minutes until frozen to your liking. To serve, scrape with a fork into individual bowls and serve immediately.